Info: This feature requires Content Station 10.28 or higher. One of the ways of adding custom functionality to Content Station 10 is by adding Custom Applications. 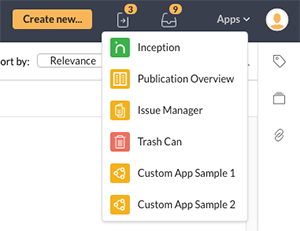 These are accessed through the Applications menu and — as is the case with the default applications such as the Publication Overview and the Trash Can — run in a full Content Station 10 window, including a header and a Back button. Actions can be performed within the application through the use of parameters. 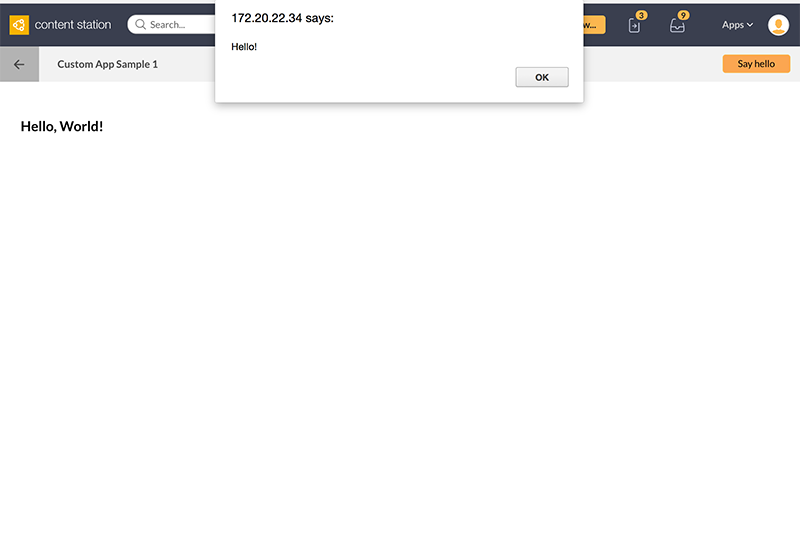 Example: You can add custom reports based on data from Enterprise Server, display external sources, and so on. To get you started, 2 simple samples are provided (see the contentstation > sdk > samples folder). 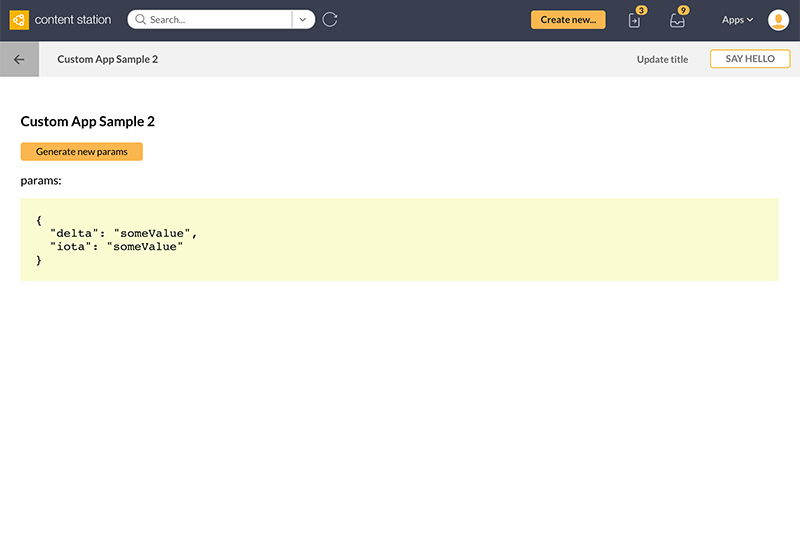 Sample 1 contains a page with some text and a button in the header that displays a message when clicked. Sample 2 contains a page with a button that displays some random parameters on the page. The header contains two buttons: one that displays a message and another that updates text on the page. Users access a Custom Application through the Applications menu in the top right corner of the page. Custom Applications are automatically added to the menu below the default applications (as defined in the config.js file). Custom Applications need to be created or obtained yourself; they are not provided by WoodWing. content-station-10-sdk.md. The SDK describing the available options that can be implemented. samples. Folder containing some example plug-ins. See the SDK for more information. Step 1. Create the plug-in by following the instructions in the SDK. Step 5. Log in to Content Station — or refresh the page when you are already logged in — and test the working of your plug-in.